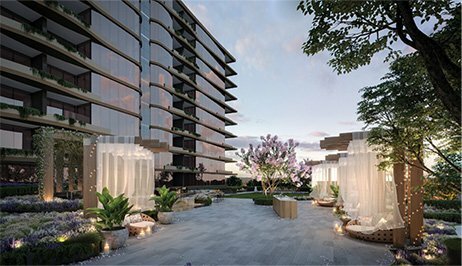 This year, Golden Age Group launched its most innovative project to date, the $450 million residential project Sky Garden, located above premier shopping destination The New Glen Shopping Centre in Glen Waverley. 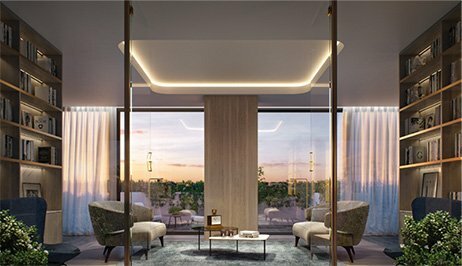 The ambitious three-tower, 555-apartment project will sit boldly atop The New Glen, boasting a 4,000sqm “garden in the sky” that will form the elevated ground plane upon which the three towers will be built. 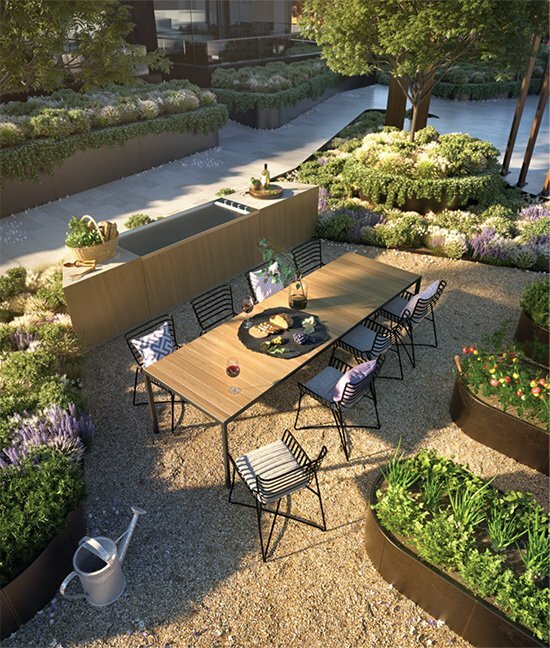 A central component of the overarching design, the extensive garden acts as a community meeting place for residents, designed with various spaces for every generation to enjoy. Though retail anchoring of apartment buildings has been explored in the Australian market, this will be the first Australian air-rights acquisition that will deliver a community-focused development precinct of this scale. Sky Garden will be delivered in tandem with Vicinity Centres’ $460 million redevelopment of The Glen, which will include 240 new shops and retailers. Residents will enjoy the absolute convenience of being minutes from a new 8,000sqm David Jones, a two-storey dining precinct, a fresh food market and more. Sky Garden sets a new standard for convenient living with the daily essentials within a five-minute walk from home, forming an infinitely connected address where nothing is out of reach. Sky Garden is backed by a team of world-class designers starting with leading architects Rothelowman for exteriors, interior design experts DKO Architecture and ASPECT Studios for the extensive landscape design. Jeff Xu, managing director and founder of Golden Age Group, said the project is one of the most innovative and ambitious development plans in the company’s history. “At Golden Age, we are always looking for new ways to do things. We saw an opportunity to partner with Vicinity Centres and deliver a residential component to an existing shopping precinct in a way that’s never been done before, making this project the first of its kind,” said Xu. Sky Garden is a visionary offering in Melbourne’s residential market being elevated atop the amenities of one of the city's best lifestyle destinations. With a dedication to fostering holistic lifestyles, Sky Garden will include an array of shared resident amenity. Named Sky Garden Club, every resident will have a world of activity seconds from their home, emulating the luxury of the world’s finest resorts. 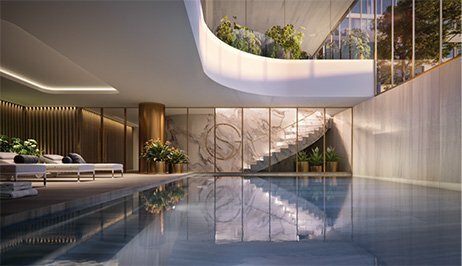 On level one, Sky Garden will feature an open-plan yoga studio, fully-equipped gym, steam rooms, a wellness centre with bookable massage rooms, alongside a luxurious pool. Level two is connected by a grand marble staircase which leads to outdoor dining terraces, a private library and lounges with fireplaces, a cinema and gaming rooms. Sky Garden apartments start at $480,000 for a one-bedroom residence, $695,000 for a two-bedroom apartment and $1.1 million for a three-bedroom offering. Construction of the three Sky Garden towers is slated to commence in Q2 2019. The Sky Garden display suite is situated in The Glen Shopping Centre on the second level, adjacent to David Jones.